(Leonid Petrov, The University of Sydney) China often describes its relations with North Korea, its closest regional ally, as intimate but not substantial. For more than half a century, Beijing’s attitude towards the Korean peninsula has revolved around the avoidance of three scenarios: ‘No new war on the Korean peninsula’; ‘No regime change in North Korea’, and ‘No American troops on the Sino-Korean border’. But can the developments of recent weeks shake this strategic alliance tested by time, wars and revolutions? This year North Korea declared that it has reached its self-professed goal of becoming a strong and affluent state. However, the state of its cross-border trade and cooperation with China indicates otherwise. There are signs that inside North Korea’s closed borders the domestic situation in the DPRK is deteriorating and the regime is using every opportunity to use government agencies to earn the desperately needed cash and goods. A range of UN sanctions have been imposed on North Korea. In response to two nuclear tests and recent ballistic missile launches, a ban on luxury goods has been imposed on North Korea by the UN Security Council. The country is now hard at work, evading these bans, with the help of China. Almost all imports of luxury goods (cigarettes, cosmetics, cars, watches and computers) go to North Korea via China. The criminalisation of border trade with North Korea is notorious within China, whose government does not officially recognise the contraband goods to qualify as ‘luxury items’. This ambiguity often creates situations replete with potentials for border conflicts between the former communist allies. One incident unfolded in the Yellow (West) Sea on 8 May 2012, where three Chinese fishing boats, with 29 Chinese fishermen onboard. They were abducted by unidentified and armed North Koreans, who demanded the payment of ransom for their return. The vessels were seized in a traditional Chinese fishing area, about 10 nautical miles from the maritime boundary between the two countries. Seven Chinese boats were initially taken; four were later returned to the port of Dandong in return for ransom. Three Chinese boats remained in the hands of the unnamed North Korean kidnappers for another 13 days. While these kinds of incidents are common, this one developed in an unusual way. As a rule, Chinese ships owners pay the ransom through private channels. There are many individuals and even companies involved in such cases and, on many occasions, they are well connected to DPRK marine forces. This time, however, the armed hijackers approached the Chinese fishing vessels on a speed boat. They wore blue hats and uniforms and some of them spoke perfect Mandarin. They initially demanded the payment of 400,000 Yuan (AU$65,000) for each boat, but later lowered their request and threatened to ‘dispose’ of the boats if the money was not sent through within a short deadline. The demand was transmitted by satellite phones through the crew members, who were kept in captivity on shore without food and were reportedly subjected to beatings. The fact that the captors gave the kidnapped sailors the mobile number of an intermediary in the border town of Dandong to discuss how to send the ransom suggests that the captors were international group of pirates. For some ten days the Chinese government worked closely with the North Korean maritime authorities, to ensure the safety of the Chinese citizens. Pyongyang, however, has still not commented on the incident. While the nature of this incident remains unclear, it came after Beijing criticised a recent North Korean rocket launch and expressed concern over another nuclear weapons test planned by Pyongyang. This raises a very serious question: Were the hijackers real pirates or was this in fact all a carefully planned retaliation, by the DPRK government, against China? 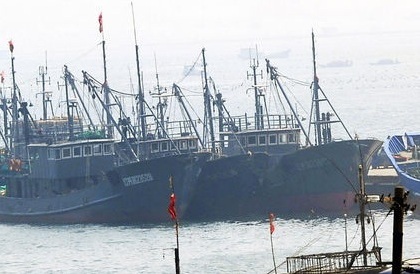 The North Korean defectors who are familiar with the chain of command in maritime border protection assert that the three Chinese fishing boats were seized by operatives of DPRK General Bureau of Reconnaissance. They usually use armed speed boats which belong to West Sea Base No. 2 located in Nampo and secretly enter international waters to fulfil special missions. Their speedboats are disguised as mid-size fishing vessels but equipped with four Russian made M-400 engines. The General Bureau maritime bases also conduct infiltration missions against South Korea and exist both in the East and West Sea. The initial reports of the attack testified that the group of captors was wearing blue uniforms and hats and included several Chinese-speaking people. However, the involvement in this particular incident of Chinese criminals is unlikely. The staff members of General Bureau of Reconnaissance are fluent in Mandarin because they are trained to operate in Chinese waters. For example, the operatives stationed at East Sea Base No.1 are required to speak excellent Japanese. Could the General Bureau of Reconnaissance suddenly decide upon the capture of Chinese fishing boats simply to earn money? Capturing foreign nationals and their property would inevitably create a diplomatic problem and could not be done without the approval of authorities. Discipline in North Korean military is stern and hierarchy is thoroughly observed. While scheming with the authorities to demand money from the captured Chinese sailors, they must have intended to express discontent at something else. What message did the North Korean authorities want to convey to Beijing? The moist likely scenario was that the abduction of Chinese fishermen was carefully planned by the new leadership in Pyongyang in retaliation for China’s continuing criticism of the North Korea’s April rocket launch and ongoing preparations for another nuclear test. In addition, Beijing recently permitted a number of North Korean defectors to leave China to seek asylum in South Korea that could not but anger the DPRK leaders who wanted to teach China a lesson. The timing of the incident (8-21 May) also supports this hypothesis. It coincided with the joint US-ROK aerial exercises Thunder Max, which was held between the 7th and 18th May. While these exercises take place on an annual basis, this year’s activities were of a particularly massive scale. These war games in the skies of south-western Korea not only send a warning message to the DPRK but also to China, serving to further strengthen the security cooperation between Beijing and Pyongyang. Paradoxically, joint US-ROK military exercises equip North Korea with extra leverage over China. Beijing, however, is refusing to link the dots. So far the Chinese Foreign Ministry is labelling the incident a ‘fisheries case’ and searching for the traces of criminal gangs in Dandong. Clearly, Beijing is trying to soft-pedal the incident and avoid open antagonism with its long-term regional ally. All signs indicate that this incident will not negatively affect the strong political ties between the two countries. In the situation where the Chinese government at all costs prefers to maintain the status quo on the Korean peninsula, such a minor incident will not force Beijing to stop supporting the DPRK, a buffer state which separates its own borders from the US-allied South Korea. After all, the Cold War in the region is continuing, Northeast Asia remains divided and paranoid, and its main front line still divides the Korean peninsula. On a frosty winter’s day in December last year North Korean dictator Kim Jong-il breathed his last breath. Steely, yet teary-eyed reporters from the country’s official news agency told the world the 69-year-old had “passed away from great mental and physical strain”. Later reports would reveal that the Dear Leader was travelling to the country’s north on his armoured train when he reached the end of the line; a massive heart attack the cause of death. But, Dr Leonid Petrov, a research associate in the ANU College of Asia and the Pacific, has a slightly different take on this version of events. The analyst, who has been watching North Korea closely for decades, says that Kim Jong-il, whose health had been on the rails for a while, suicided. “Why did Kim Jong-il suddenly die in December just a few weeks before 2012,” Petrov asks. “It was because it was very convenient and almost the perfect time for him to die. He surely understood that and had carefully prepared the country for a smooth power transition. That’s why I think he committed suicide. “2012 is a significant and pivotal year in North Korean history. It is the centennial anniversary of the birthday of the country’s first leader and Kim Jong-il’s father, Kim Il-sung. It is also the year when Kim Jong-il promised to take North Korea to self-proclaimed strength and prosperity. Obviously, North Korea is not very strong, except militarily. And it is very far away from prosperity. Petrov also points to the inconsistency in the story about the leader’s whereabouts at the time of his death as another reason why official reports cannot be trusted. According to him, Kim Jong-il’s armoured train never left Pyongyang. Regardless of whether Kim Jong-il’s death was natural or not, Petrov is certain of one thing; his son is safe at the top and is in no immediate danger of flat lining anytime soon – even if there were recent reports of his assassination in China. “No way are the assassination rumours true,” says Petrov. “If the rumours said that he was killed in North Korea, well maybe. But, assassinated in China? No. As soon as they said China I knew it was not true. He didn’t plan any trips to China, he didn’t cross the border. Every time the North Korean leader travels the security precautions are extraordinary. There is no way. Despite his youth and relatively obscurity – at least in the West – Petrov adds that there is no doubt that Kim Jong-un is North Korea’s number one man. “Kim Jong-un is young and seniority is respected in North Korea, which means that for the moment he has to follow the advice of his seniors – the older members of his family and senior military and party officials. In Korean history, regents were often appointed to help a young king fulfil his duties. Similarly, Kim Jong-un can’t make decisions by himself. However, this doesn’t mean that he’s a puppet, not at all. Something else that will continue for a very long time is the tightly controlled nature of existence in North Korea. 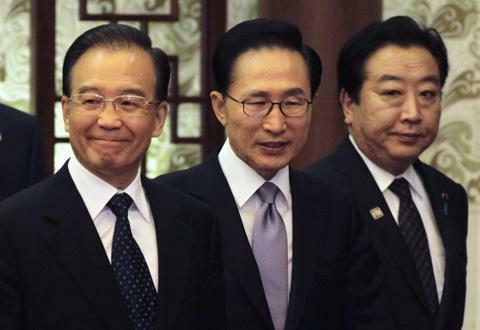 Beyond the pantomime of public grief and loss, the leadership succession represents a scratched record playing the same old sad tune of repression, poverty and isolation from the rest of the world for the North Korean people. 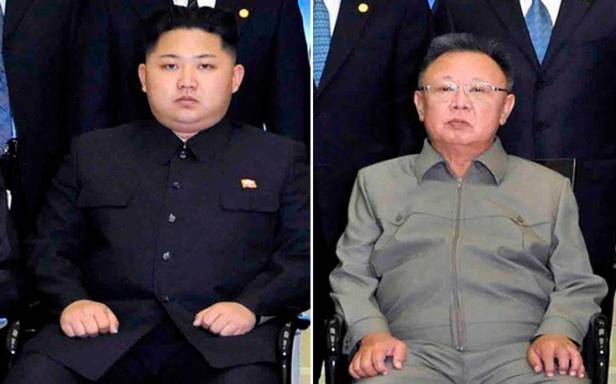 The succession was not only an elaborately thought-out and smoothly executed transition from one generation of the ruling Kim family to the next; it was designed to maintain as much stability in the country as possible. Kim Jong-un, who according to Petrov “even looks like his grandfather Kim Il-sung”, is the past made present in order to lead North Korea into a future that looks depressingly familiar. “The whole point of Kim Jong-un’s succession was to avoid any change in North Korea, because change, threatens the very existence of the North Korean state. If you look at what happened to the Soviet Union when Gorbachev started Perestroika (or opening up to the West), he couldn’t control the situation. He lost power and the country collapsed and disintegrated. North Korea would implode if they started playing with any sort of change or reform, economic or political. Ultimately, by stability and continuity, Petrov means dynastic endurance and the ongoing rule of the Kim family. “We should look at North Korea as a hereditary dynasty in a kingdom which is the personal property of the Kim dynasty,” he says. “This dynasty is supported by the army and the communist party, particularly the top level of the army and the party who lead comfortable lives with lots of freedoms and privileges. They have a lot to lose if a change of regime happens and there is a lot more to lose than in countries like Libya and Syria. There’s a lot more at stake; the national integrity of the country is at stake because just next door is a strong, prosperous, affluent South Korea, which will not forego the opportunity of absorbing North Korea in the case of some disturbance, chaos or economic collapse. “The reason for North Korea actually existing is the survival of the regime and the survival of the Kim dynasty. It’s constantly announced to the people that without the supreme leader Kim there is no Fatherland-. Without the party we can’t survive. Without the army we’d be enslaved. “So survival is what drives the existence of the state and justifies the control of the Kim family. And survival doesn’t have to mean prosperity. North Korea is a poor state and for the last 60 years, since the Korean War, the people have been living in very harsh conditions. But, as long as they have some food and some electricity and a little bit of freedom – to be able to move from one province to another to visit relatives or to trade – we can expect no major change. “No major protests will occur either. There is simply no room for opposition. There are no alternative sources of information, there’s no space for thinking about freedom or revolution of any kind like the Arab Spring. So, everything will stay the same as long as the leadership decides to keep things the same. Kim Jong-un was chosen as a token of continuity and stability, so don’t expect change from him. As long as he decides to stay, to keep the country secluded, closed, poor, intimidated, it will continue as it always has. “North Korea is a revolutionary state frozen in time and will remain frozen. The people are not exposed to any foreign influences, they have nothing to compare life to; they just have to trust in what their leaders tell them, and their leaders tell them don’t expect any change.